Beginning sometime around 1963, Clanky was a product from Family Foods Incorporated. But I was surprised to find out some years ago – when watching Clanky’s original TV commercial on the internet — that it may have been meant to be a SPACEMAN. Either way, by 1965, a thoroughly washed out container soon became one of my favorite bathroom toys (along with rubber band-propelled ships, diving submarines powered by baking soda, and Crazy Foam)! In fact, it’s entirely possible I imagined Clanky as another almost forgotten fantasy character from the early ’60s, Diver Dan. Diver Dan was a syndicated live-action, roughly six-to-seven minute daily program, telling a serialized story over a week or two; designed to be shown along with cartoons and the like, on the era’s popular local kids TV shows. Dan was portrayed by an actor (Frank Freda) in an old-fashioned diving suit (hence, his resemblance to Clanky), who interacted with puppet fish, including the villainous Baron Barracuda (who spoke like Bela Lugosi, and whose sidekick, Trigger, somehow managed to keep a lit cigarette in his mouth)! I don’t know if Clanky was otherwise difficult to find in my neighborhood. (We had an A&P, Shoprite and Hills in our immediate Valley Stream/Elmont environs); but food product distribution, then as now, except for the biggest brands, could be quixotic. Family Foods was based in Chicago, and internet references say that the “chocolate flavored syrup” made its way as far as California. And today, the juxtaposition, in memory, of Clanky, an icon of the future, with such a bucolic scene, strikes me as uniquely American…! Unbeknownst to us, in the mid 1960s, was that the grazing ground was soon to become part of a paved over parking lot. These mementos of the fantastic — single frame vignettes of action and adventure — were incredibly evocative of the era, and now are so rare that there are almost NO images of them on the internet. 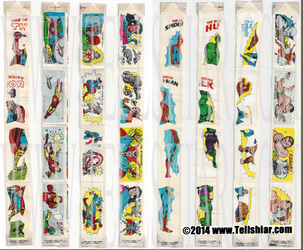 I had, in fact, forgotten about them, until 1988, when I picked up one of Lancer Books’ 1966 Marvel Comics paperback reprints, and there were Thor stickers glued to the inside cover! Clanky, it should be remembered, debuted at the height of the first major inception of interest in the manned space program. It was also the season of the Ideal Toy Company’s Mr. Machine (a windup, rolling, top-hatted, see-through “mechanical man”) and Marx’ Rock ‘Em Sock ‘Em Robots (which Clanky preceded). On television, one could watch Fireball XL5’s Robert the Robot, Rosie on The Jetsons, and eventually, the automaton on Lost In Space (never called anything but by the sobriquet, “Robot.”). When I began shopping on eBay in the late 1990s, a Clanky (near mint, albeit empty! ), became one of my very first purchases. He is, of course, a happy remnant of another playtime’s future. Can still be filled with so many tomorrows. This entry was posted in Graphic Examples and tagged James H. Burns by Mike Glyer. Bookmark the permalink. I had a very strange reaction to Diver Dan. It all seemed weirdly familiar, even though I have absolutely no conscious memory of ever having seen it before. But I bet I did, as a child. Somewhere I still have a hand-drawn mermaid board game that I was given as a gift, made by a sibling with a lot of help from a kind adult. I bet it was inspired by Diver Dan; 1961 is just about the right date. Hey! Wow – thanks for reminding me about Diver Dan! 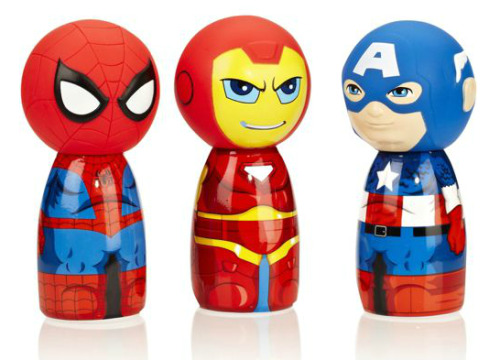 I’ve seen a Iron Man product. 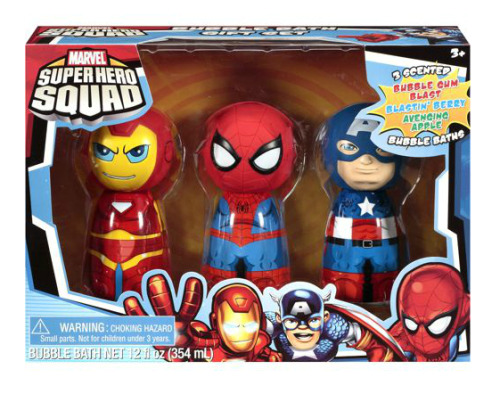 Iron Man Bubble Bath. That’s just so wrong. I’ve never heard of Clanky or Diver Dan before, but this was a charming piece and thanks for writing and posting it! Clanky looks as if he is related to Mrs. Butterworth. I never forgot Diver Dan, nor the names of most of the fish, but haven’t seen it in more than 50 years! Like you, I was intrigued by the mermaid. The one fish whose name I can’t remember is the ordinary one, who brings back the gold coin from Skipper Kipper. Was it just “Finny,” perhaps? Now who remembers “Wee Willy Wonderful,” an even more obscure puppet show from late 50s TV? But here’s another DIVER DAN, with the alternate opening titles! A match made under water. Of course, matches underwater cannot ignite. 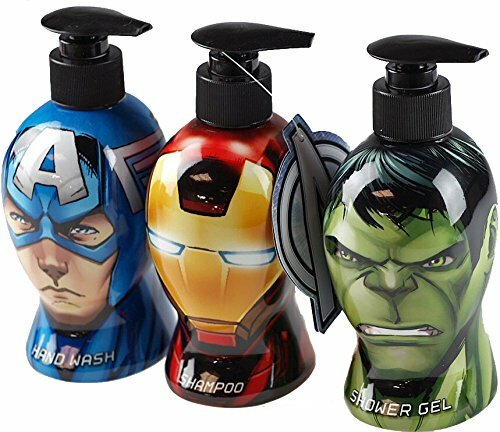 But you can always be clean with the Avengers!